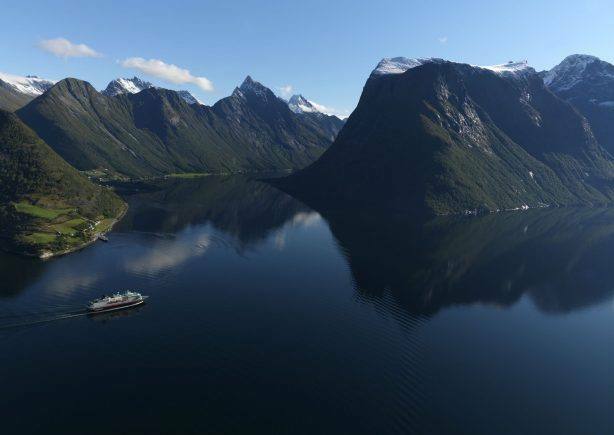 is a 35-kilometre long fjord branch of the larger Storfjord, stretching south from the Alesund area. 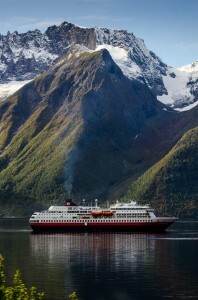 The more famous Unesco Geirangerfjord is also a branch of the same Storfjord. This amazing fjord is surrounded by the spectacular Sunnmorsalpene mountain range, with alpine mountain peaks reaching 1700 metres straight up from the fjord. 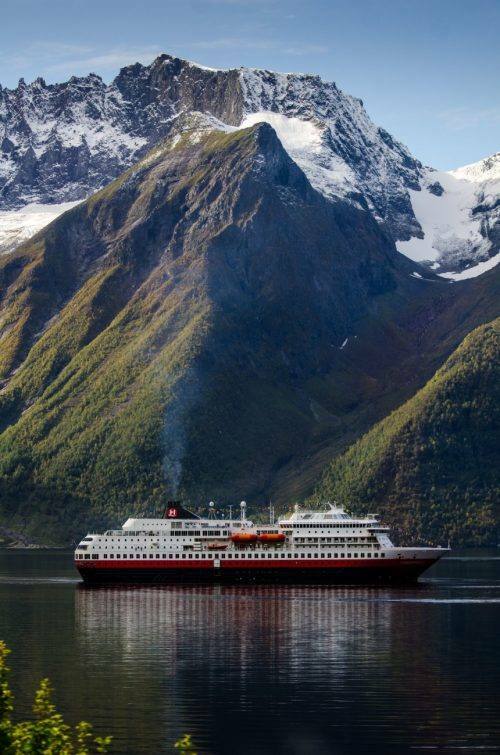 You can see this unknown fjord during an autumn cruise on the authentic Hurtigruten ships, from the start of September to the end of October.